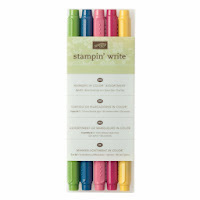 Get a FREE set of the 2012-2014 In-Color Markers! And now you can get the whole pack (a $14.95 value) for FREE. 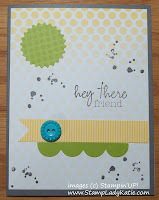 Its fun that the project is always a surprise: it could be cards or an album or something else. There are no minimums and no contract - I can quit anytime. 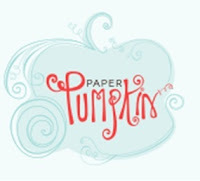 Its super easy to subscribe - just grab a credit card and subscribe here! But I'm going to add my own incentive. 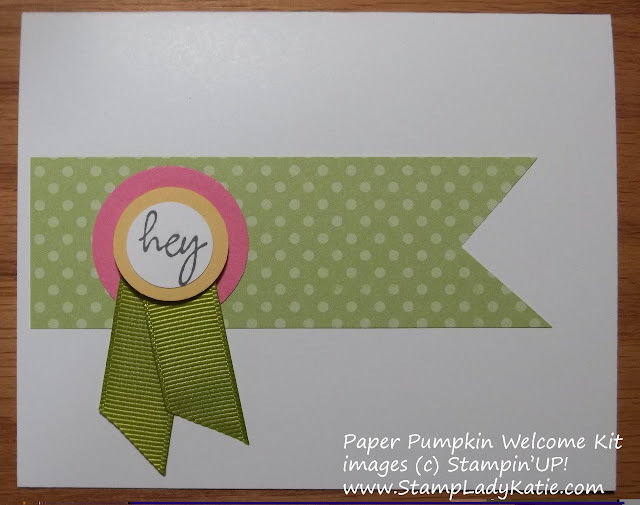 Right now I have ribbons in each of the 5 colors and when you sign-up with me as your demonstrator you can pick your favorite color and I'll send you a Free Roll of Ribbon. The first 2 people who sign-up are guaranteed their choice of color. After that its what ever is left. 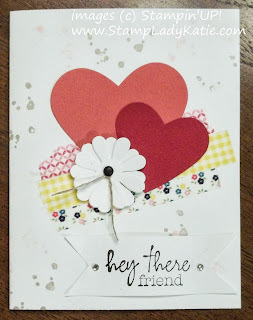 Need a little more convincing about the Monthly Craft Kits? And I love, love love! the "splotches" stamp. 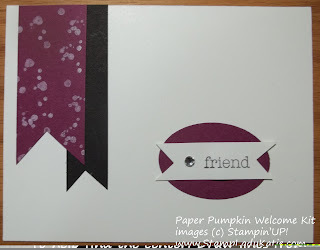 again I used a marker to ink up just one of the words on the sentiment stamp. 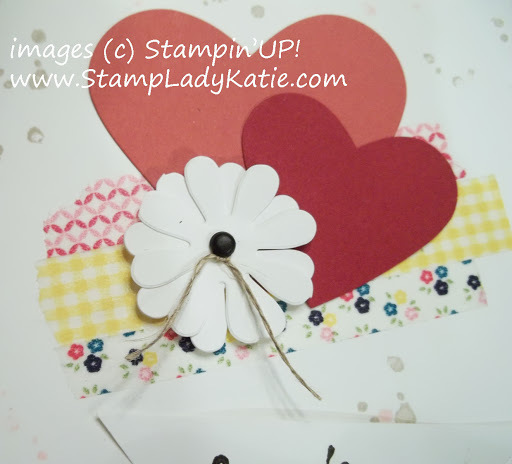 The splotches even look good on a Valentine! 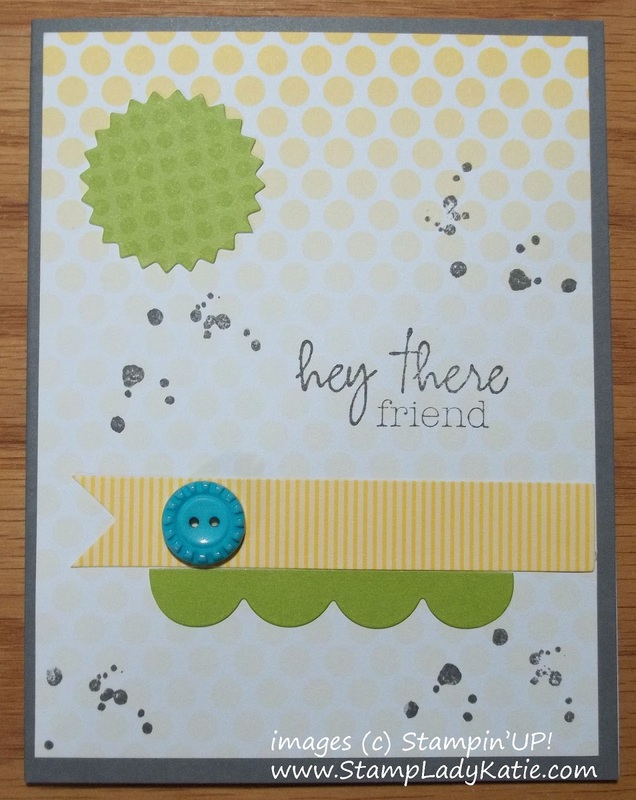 There is so much you can do with the stamps in the Welcome Kit. The Kit alone is worth $19.95. 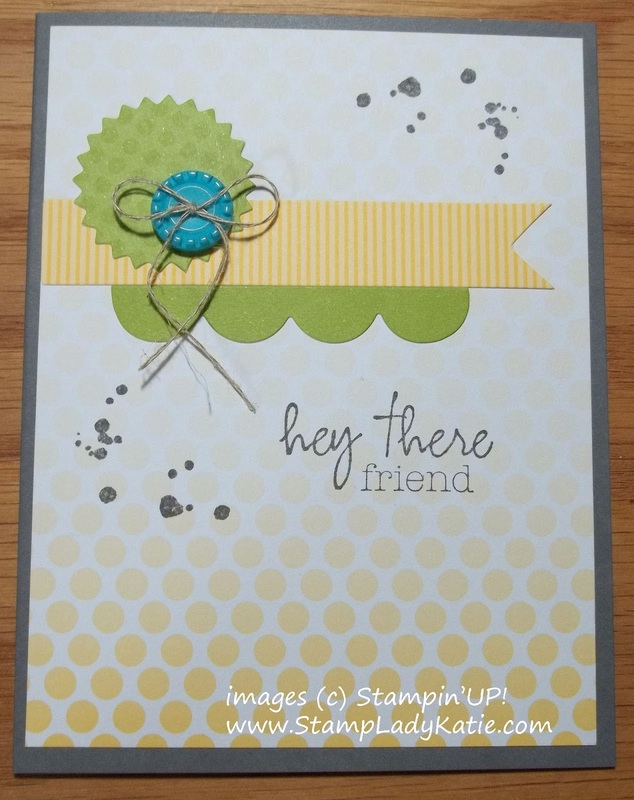 Take advantage of Stampin'UP! 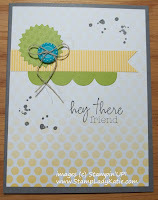 's promotion now and get the FREE MARKERS from Stampin'UP! and FREE RIBBON from me.